Aqualand i Poprad, Slovakia: Bestill nå! Balance of due upon arrival. Security deposit of 10% required for all groups. 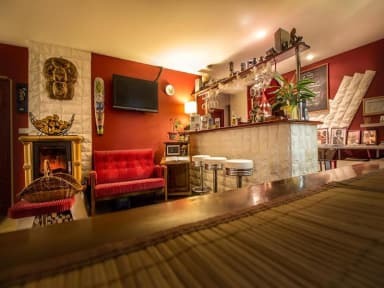 Aqualand is ideally located in the centre of Poprad and is a short walking distance to all major attractions, restaurants, bars and is directly next to a large spa with outdoor mineral hot springs. 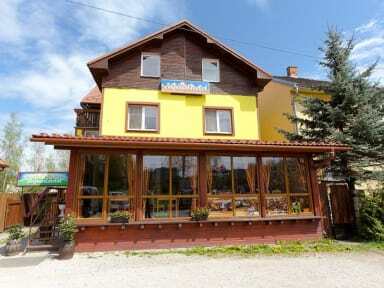 The High Tatras are also very accessible by bus, train or car from Aqualand. Aqualand is owned, managed, and designed by Poprad locals who have done a lot of travelling and know exactly what makes a hostel great. We will always take the time to help you plan your days in and around Poprad and the High Tatra Mountains. We love living in Slovakia next to the High Tatra mountains and we really just want you to have the best possible time in our country. We look forward to welcoming you at Aqualand.